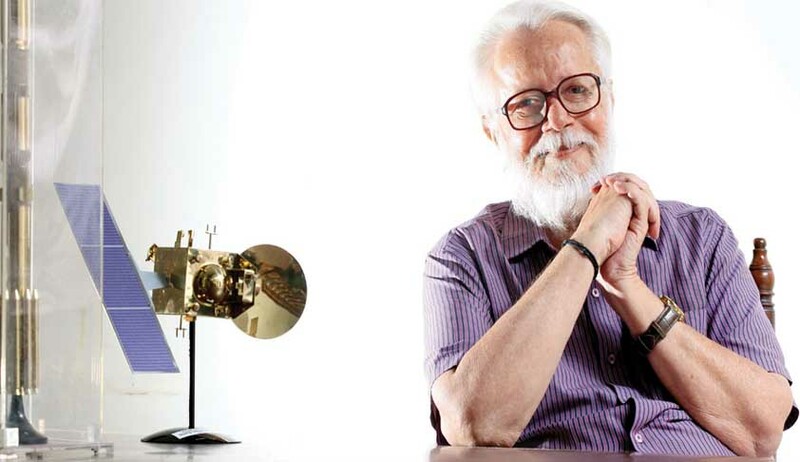 Will Former ISRO Scientist Nambi Narayanan Get Justice After Two Decades? This Friday, the Supreme Court of India will consider the case to take action against the police personnel who allegedly tortured former ISRO scientist S Nambi Narayanan (retired in 2001) in the fake ISRO espionage case. In his long journey for justice, Nambi Narayanan was arrested by the Kerala Police on 30/11/94, on espionage allegations under sections 3, 4 and 5 of the Indian Official Secrets Act 1923, which were registered illegally without the Central government’s sanction. He was remanded to police custody and then to judicial custody for 50 days. In police custody, he was allegedly tortured by officials of Kerala Police and Intelligence Bureau of India and statements were allegedly obtained along suggested lines under duress. The story fabricated by the police was that Nambi had passed on rocket technology and cryogenic technology to Pakistan for illegal gratification. That allegation was found to be false by the CBI. The finding of the CBI was upheld by the Supreme Court in K Chandrasekhar vs State of Kerala. The Kerala government, after keeping the file in cold storage for about 15 years, had issued a GO dated 29/6/11, deciding not to take action against the erring Kerala police officials. That GO was challenged by Nambi Narayanan in WP(C) No. 30918/12, which was allowed by Justice Ramakrishna Pillai quashing the GO. The court directed the government to take action in a just and legal manner. Accepting the judgment, the state government formed a committee to take action. But the erring officials filed writ appeal before a division bench of Kerala High Court, which set aside the judgment of the single judge. The SLP filed by Nambi Narayanan against the judgment of the division bench was admitted by the Supreme Court on 19.07.2015, in a three-page order and the matter is scheduled for final disposal on 28.04.2017, before Justice Dipak Misra and Justice Khanwilker. It is to be noted that India could develop cryogenic technology in 2017 only. Had Nambi Narayanan not been arrested, India could have developed cryogenic in the year 2000 (17 years back) and India could have earned billions of dollars from international space market by launching satellites of other nations by charging only 1/3rd cost charged by leading space nations like the US. Nambi Narayanan was arrested at a time when he was working as project director for the development of cryogenics in collaboration with Russia, after his successful efforts in developing VIKAS engine (liquid propulsion technology) in collaboration with France. This Vikas engine has been used for more than 35 successful flights, including Chandrayan and Mangalyan, without any single engine failure. After a 17-day investigation by the Kerala Police and IB, the case was handed over to the CBI, which investigated the case for 1 and a half years and filed a closure report with the conclusion that the allegation of espionage was found to be false. Along with closure report, the CBI submitted two other reports to the Centre and state government, pointing out serious lapses, acts of omission and commission etc on the part of IB officials and Kerala Police and recommending appropriate action. The Union government in 2004 conducted an ‘eyewash’ inquiry and dropped actions against the officials of IB, that too, without notice to victims of the false and fabricated case. It is very important to note that Nambi Narayanan completed his higher studies at Princeton University and he was offered US citizenship in year 1970. He rejected that offer and returned to India to serve his nation. “If before taking up further investigation an opinion has already been formed regarding the guilt of the accused and, that too, at a stage when the commission of the offence itself is yet to be proved, it is obvious that the investigation cannot and will not be fair and its outcome appears to be a foregone conclusion. The real culprits have not been held accountable even today. The suit for compensation filed by Nambi Narayanan in year 1999 is yet to be decided. In spite of all this, Nambi Narayanan still waits for justice. The proceedings on Friday in the Supreme Court will be seminal in this matter.